Thomas Barr was born in Renfrewshire in 1846, son of Samuel Barr, a manager. 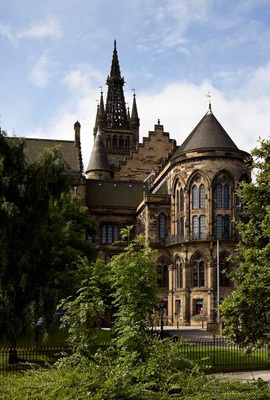 Barr first matriculated at the University of Glasgow in 1864 to study medicine, aged 18. He graduated MB in 1868, CM in 1869 and MD in 1870. After graduating, Thomas Barr was appointed in charge of a special department for the treatment of diseases of ear which opened at the Western Infirmary Outdoor Dispensary in 1877. As a writer he had an extensive list of publications, and was highly regarded in his field of aural surgery. His Manual of Diseases of the Ear was so popular that it ran to four editions between 1884 and 1909. In 1895 he was appointed lecturer in diseases of the ear at the University until his retirement in 1915.